5000 fans are expected to sell out Gillman Speedway, Port Adelaide to see the Australia's best Supercross Racers take on the Americans in bar-to-bar Supercross action. It will be a riders dream with up to 6000 tonnes of dirt available trucked in to create the perfect track, certain to produce incredible racing, and with the announcement of the Triple Crown Race format it's going to be Supercross racing at its best. With a rumoured five Americans competing in the series, Port Adelaide spectators will see the some of the top riders from across the world take on Australia's best. If that's not enough to get the heart pumping, visitors can expect to see 3 X World Speedway Champion Jason 'Crumpy' Crump do a one off incredible Speedway demonstration that will have all fans on the edge of their seats. Crump will be bringing one of his special Speedway bikes and has told fans he'll 110% on the gas to entertain the crowd. I've done a few laps at Gillman Speedway in the past, it's a great track, you are real close to the fans and the speedway itself is one of the best in Australia," Crump said. "Supercross at Gillman will be incredible and I can't wait to come over and cut some laps for the crowd. I hope all of South Australia supports the event and I hope to see many old and new fans on the day." "These Trophy Karts look so much fun, I can't wait to tear up Gillman Speedway along with a handful of other guest that will compete on the night," Bayliss said. "The first two I would like to announce is Jason Crump, he can't wait to jump behind the wheel and hit some jumps. The second driver is young South Australian, 2018 UTV Finke Winner and Runner Up 2018 Australian Off Road Champion, Toby Whateley. Toby is incredible behind the wheel, no doubt he will turn it on for his home state and will have the entire crowd behind him." Bayliss added. Whateley is pumped to be invited by Bayliss to compete at the Port Adelaide Supercross round and is keen to put on a show for his home crowd. "Troy [Bayliss] has been a big influence on myself over the past few years, I have been lucky enough to be around Troy at various events and his professionalism, kindness and general personality is second to none." Whateley said. "Off Road Racers don't often have the chance to race in front of good crowds so when Troy asked if I wanted to join the Trophy Kart race there was no way I would pass that up. 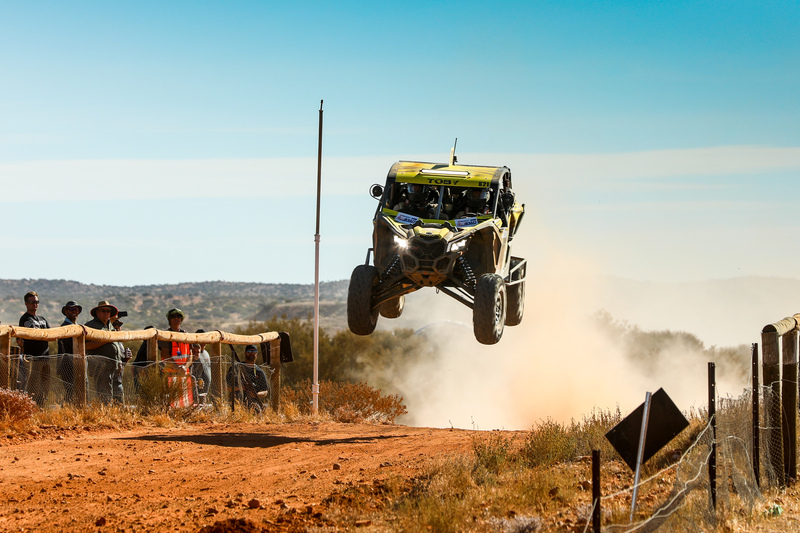 To have the chance to race Crumpy and Bayliss on two wheels is one thing but to have them ask me to race four wheels, and off road, I better bring my all and do South Australia proud." Whateley added. South Australian fans are urged to purchase tickets online, with the 5000 capacity crowd and close to half already sold Round 4 of the Australian Supercross Championship is one of the hottest tickets in town.